Slice the salmon into ~18 pieces each. 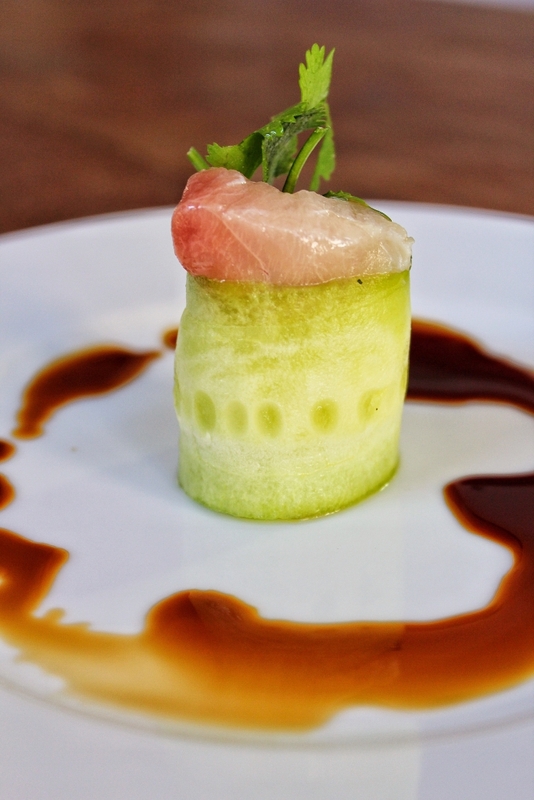 Combine one piece of yellowtail with some cilantro on one end of the cucumber ribbon slice, roll up, and repeat until you’ve create about 18 yellowtail and cilantro cucumber rolls. Serve with soy sauce and wasabi.